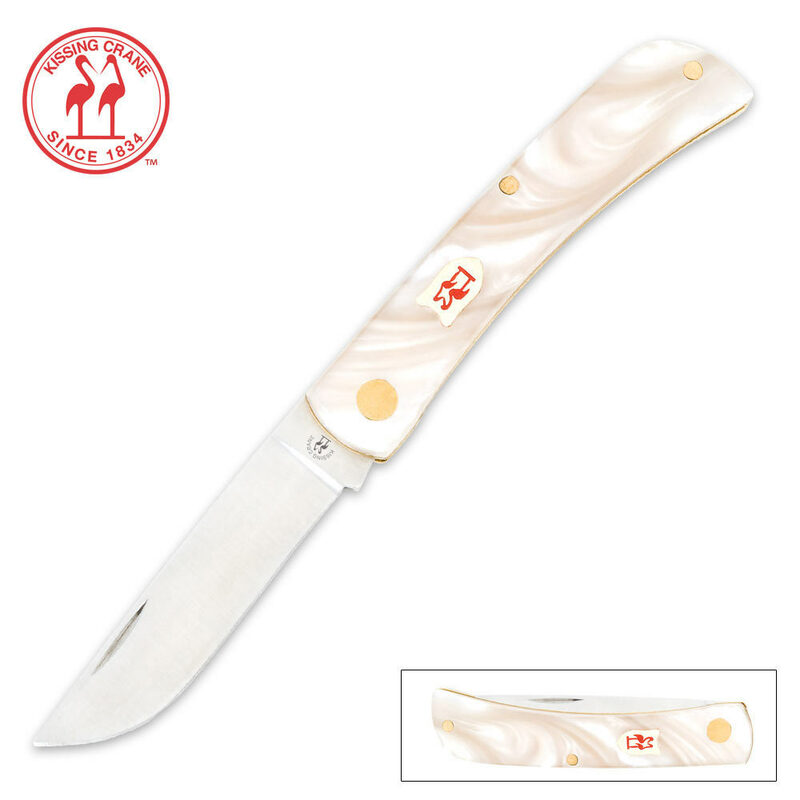 This unique new design from Kissing Crane features a stainless steel blade, brass bolsters, and a handle made of beautiful imitation pearl. An elegant addition to any collection! 3 5/8"